To fight a war, they're going to have to start one. Advance screenings of Sicario: Day of the Soldado are taking place June 27th in Toronto, Vancouver, Calgary and Edmonton, and you could win passes! Sicario: Day of the Soldado is in theatres June 29th, 2018. Via Facebook: LIKE & FOLLOW our Facebook page and leave a COMMENT on the Facebook contest post to tell us the names of the Sicario stars who re-team for Sicario: Day of the Soldado. Also, don't forget to mention which city you're entering for. Click here to enter. 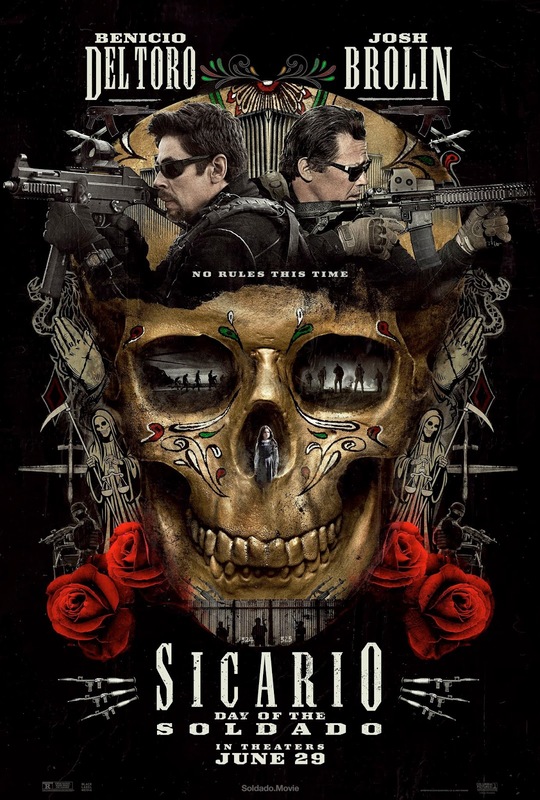 Via Email: EMAIL thereelroundup@gmail.com using the subject line 'Enter Me to Win Passes to see Sicario: Day of the Soldado', and provide your full name and email address in the body of the email, as well as the city you are entering for.